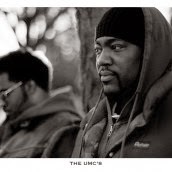 THE UMC'S ARE BACK, I "Tried to Tell Ya"
Big Shout Out today to the UMC'S, Haas G and NYOIL. Haas G, Fantom Of The Beat, has been a mentor, producer, and friend over the last few years and I am excited to see the UMC'S comeback with such a strong record. "Tried To Tell Ya" is a brand new track released roughly 20 years after their last record and will blow your mind. If you are a fan of the UMC's or a young hip-hop fan about to be introduced for the first time I invite all of you to check out this track. 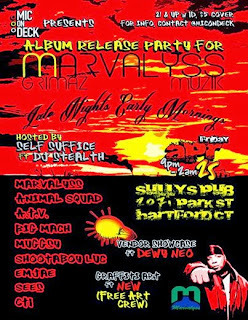 SeeS PERFORMING LIVE This Friday At Sully's in Hartford CT.
SeeS will be performing Friday April 25, 2014 at the album release party for Marvalyss. This is a Mic On Deck event, so you know it will be a great night. 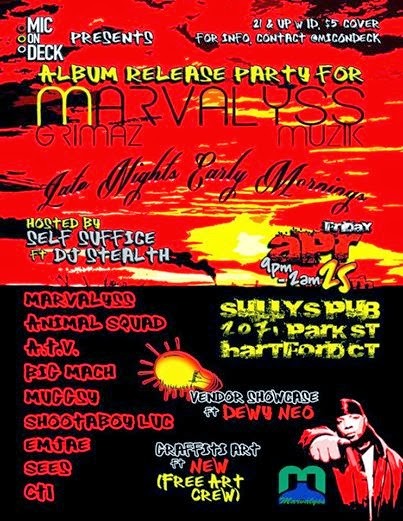 Come out and support all the CT artists. Hosted by Self Suffice! Look forward to seeing you there! Will be performing "United State Of Mind" LIVE for the first time, Get Familiar!